About Company: IDPL is the largest Central Pharma Public Sector Undertaking in India. 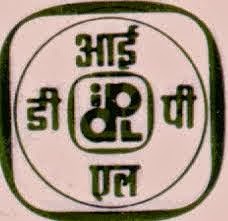 IDPL was established in 1961 as a role model in the healthcare with large monolithic infrastructure which facilitated in the evolution of Indian Pharmaceutical Industry as well as in the growth of pharmceutical units in the Private sector. How to Apply: Candidates can appear interview directly. Candidates must bring two passport size Photographs and original testimonials in support of Educational Qualification, age, experience, category etc. plz sir i have intrested in to this feild, plz help me. Your help so important for me.